Hello and welcome to Top Ten Tuesday! This week’s topic is “Ten Hidden Gem Books in X Genre: Pick a genre and share with us some books that have gone under the radar in that genre!” The genre I chose is historical fiction. Why? I just feel that historical fiction doesn’t get enough love. The Egyptian by Mika Waltari – It is a full-bodied re-creation of a largely forgotten era in the world’s history: the Egypt of the 14th century B.C.E., when pharaohs and gods contended with the near-collapse of history’s greatest empire. This epic tale encompasses the whole of the then-known world, from Babylon to Crete, from Thebes to Jerusalem, while centering around one unforgettable figure: Sinuhe, a man of mysterious origins who rises from the depths of degradation to become personal physician to Pharaoh Akhnaton. The Heretic Queen by Michelle Moran – In ancient Egypt, a forgotten princess must overcome her family’s past and remake history. The Glass-Blowers by Daphne du Maurier – “Perhaps we shall not see each other again. I will write to you, though, and tell you, as best I can, the story of your family. A glass-blower, remember, breathes life into a vessel, giving it shape and form and sometimes beauty; but he can with that same breath, shatter and destroy it.” Faithful to her word, Sophie Duval reveals to her long-lost nephew the tragic story of a family of master craftsmen in eighteenth-century France. The world of the glass-blowers has its own traditions, it’s own language – and its own rules. “If you marry into glass” Pierre Labbe warns his daughter, “you will say goodbye to everything familiar, and enter a closed world.” But crashing into this world comes the violence and terror of the French Revolution against which, the family struggles to survive. The Blood of Flowers by Anita Amirrezvani – In the fabled city of Isfahan, in seventeenth-century Persia, a young woman confronts a dismal fate: Her beloved father had died and left her without a dowry. Forced to work as a servant in the home of her uncle, a rich rug designer in the court of the Shah, the young woman blossoms as a brilliant designer of carpets. But while her talent flourishes, her prospects for a happy marriage grow dim, and she finds herself faced with a daunting decision–to forsake her own dignity or to risk everything in an effort to maintain it. Both a sweeping love story and a luminous portrait of a city, THE BLOOD OF FLOWERS is the mesmerizing historical novel of an ill-fated young woman whose gift as a rug designer transforms her life. Illuminated with glorious detail of Persian rug-making, and brilliantly bringing to life the sights sounds and life of 17th-century Isfahan, THE BLOOD OF FLOWERS has captured readers’ imaginations everywhere as a timeless tale of one woman’s struggle to live a life of her choosing. Restoration (Restoration #1) by Rose Tremain – Robert Merivel, son of a glove maker and an aspiring physician, finds his fortunes transformed when he is given a position at the court of King Charles II. Merivel slips easily into a life of luxury and idleness, enthusiastically enjoying the women and wine of the vibrant Restoration age. But when he’s called on to serve the king in an unusual role, he transgresses the one law that he is forbidden to break and is brutally cast out from his newfound paradise. Thus begins Merivel’s journey to self-knowledge, which will take him down into the lowest depths of seventeenth-century society. The Red Tent by Anita Diamant – Her name is Dinah. In the Bible, her life is only hinted at in a brief and violent detour within the more familiar chapters of the Book of Genesis that are about her father, Jacob, and his dozen sons. Told in Dinah’s voice, this novel reveals the traditions and turmoils of ancient womanhood–the world of the red tent. It begins with the story of her mothers–Leah, Rachel, Zilpah, and Bilhah–the four wives of Jacob. They love Dinah and give her gifts that sustain her through a hard-working youth, a calling to midwifery, and a new home in a foreign land. Dinah’s story reaches out from a remarkable period of early history and creates an intimate connection with the past. Deeply affecting, The Red Tent combines rich storytelling with a valuable achievement in modern fiction: a new view of biblical women’s society. Perfume: The Story of a Murderer by Patrick Süskind – In the slums of eighteenth-century France, the infant Jean-Baptiste Grenouille is born with one sublime gift — an absolute sense of smell. As a boy, he lives to decipher the odors of Paris, and apprentices himself to a prominent perfumer who teaches him the ancient art of mixing precious oils and herbs. But Grenouille’s genius is such that he is not satisfied to stop there, and he becomes obsessed with capturing the smells of objects such as brass doorknobs and fresh-cut wood. Then one day he catches a hint of a scent that will drive him on an ever-more-terrifying quest to create the “ultimate perfume” — the scent of a beautiful young virgin. Told with dazzling narrative brillance, Perfume is a hauntingly powerful tale of murder and sensual depravity. Possession by A.S. Byatt – Possession is an exhilarating novel of wit and romance, at once an intellectual mystery and triumphant love story. It is the tale of a pair of young scholars researching the lives of two Victorian poets. As they uncover their letters, journals, and poems, and track their movements from London to Yorkshire—from spiritualist séances to the fairy-haunted far west of Brittany—what emerges is an extraordinary counterpoint of passions and ideas. There are my Top Ten Tuesday: Hidden Gems of Historical Fiction. If you look back, it appears historical fiction was booming in the the early 1990s. There are so many books published during that time period that deserve some recognition. I hope that if you are interested in the genre that you’ll give these notice. Historical fiction is definitely my favourite genre! I have been wanting to read Perfume- it is Kurt Cobain’s favourite book! *gasp* Is it?! I am 100% a Nirvana junky, how did I not know that. I need a copy of it on my shelves directly beside his published notebook. My Tuesday morning has been made. I am glad you mentioned “The Name of the Rose”, it`s one of my favourite books. I read it in high school and it made such an impact on me. I didn’t know “The Glass Blowers” was written by that lady. I only really know her for “Rebecca” but that sounds really cool. Great list! So many interesting books on this list! I have been meaning to read “The Red Tent” for so long. I also read “Year of Wonders” and really liked it. 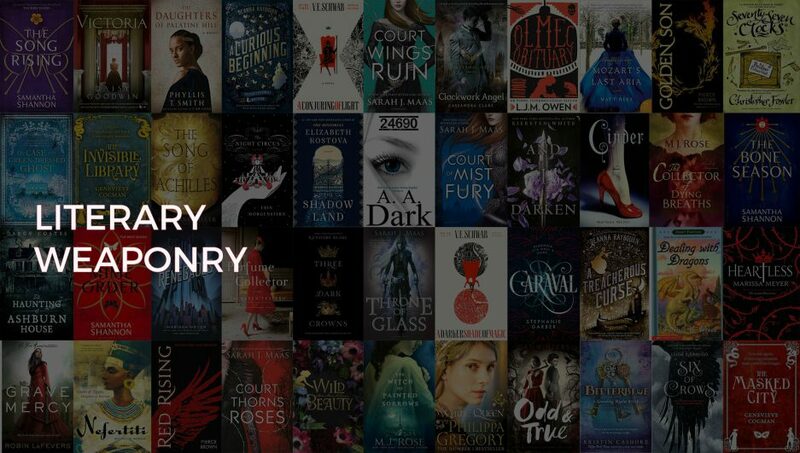 I’ll be checking all of these out and adding to my TBR!